Which Mascara and Eye Pencil is the Best for Brown Eyes? Women with brown eyes are believed to have lots of different features of character. They are very sensitive and at the same time seductive. They often fall in love and sometimes are very hot-tempered. Despite the fact they are very cranky and often do lots of things on impulse, they are very open-hearted, kind and loving. They will always ready to talk and will never be angry with other people for a long time. Which Mascara and Eyeliner is the Best for Brown Eyes? Women with brown eyes are very easy-going; they do not face any difficulties in getting on well with other people. As a result we can call these women very communicative. This is one of their main features. However you should not be surprised in case you witness a woman with brown eyes who can easily loose her temper. Nevertheless she looks really cute even in such situations. Women with brown eyes often always care about the way the look. That is why the pay a lot of attention to their make-up as the need to be admired by all the men around them. So you should not forget to make as many compliments as you can to women with brown eyes. Their eyes are their gift. They make it possible for them to conquer the heart of every man they want. 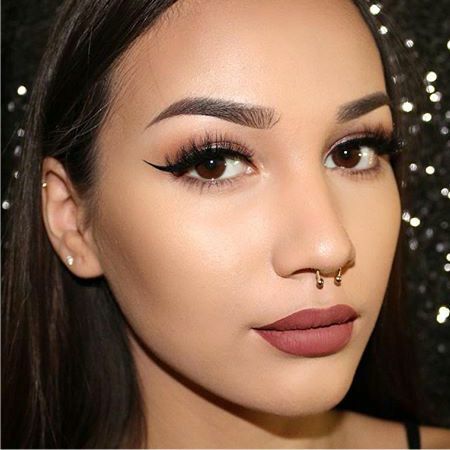 What mascara is the best choice for brown eyes? 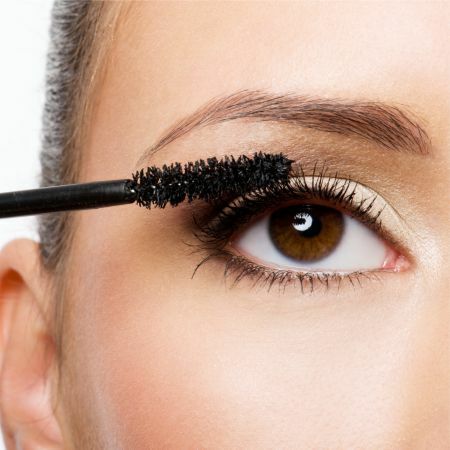 You should also take into consideration the color of your hair when you choose mascara for eyelashes. It is very important. Blonds should use brown, green, bronze or silver-purple colors in order to stress their sensuality while brunettes are recommended to use black or black-brown mascara. 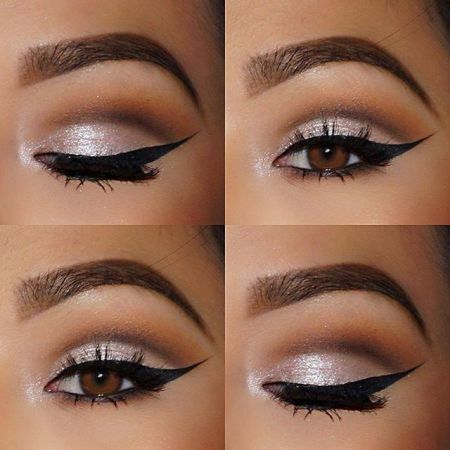 Eyeliner is inevitable part for make-up, especially if we speak about evening make-up. Due to the fact that such pencils are very soft they can be easily used for shading. They have very deep and bright colors which are perfect for shading. If you are lucky to have brown eyes, dark-violet pencil will turn out to be the best bet for you. You can also use violet, silver and purple shades. 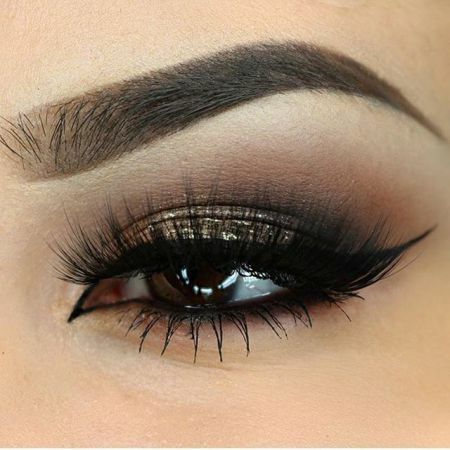 We can talk for hours about the best make-up that will suit brown eyes. There are hundreds of different variants. Nevertheless some women with brown eyes make lots of common mistakes. You need to keep in mind that brown eyes are very bright. That is why you should keep it easy with your make-up in order not to make it too vulgar. That is why women with brown eyes are recommended to use lash-lengthening and separating mascara for your daily make-up. On the other hand volume mascara will be a perfect choice for the evening make-up. If you want to make you make-up more accurate and attractive, you are also recommended to make a thin line using black eyeliner. The line must be located on the upper side of the eyelid and follow the direction of lash growth. This method will make it possible for you to create a luxurious “frame” for your precious eyes. Like the article «Which Mascara and Eye Pencil is the Best for Brown Eyes?»? Share it with friends!